NATICK, MA, June 21, 2012 — At a time when live music has become the financial backbone of the music industry, more emphasis is being put on the quality of the sound of concerts, including at that most critical point in the monitoring chain: the front-of-house position, where the FOH mixer can hold the key to the quality of the entire concert experience for the artist and the audience. 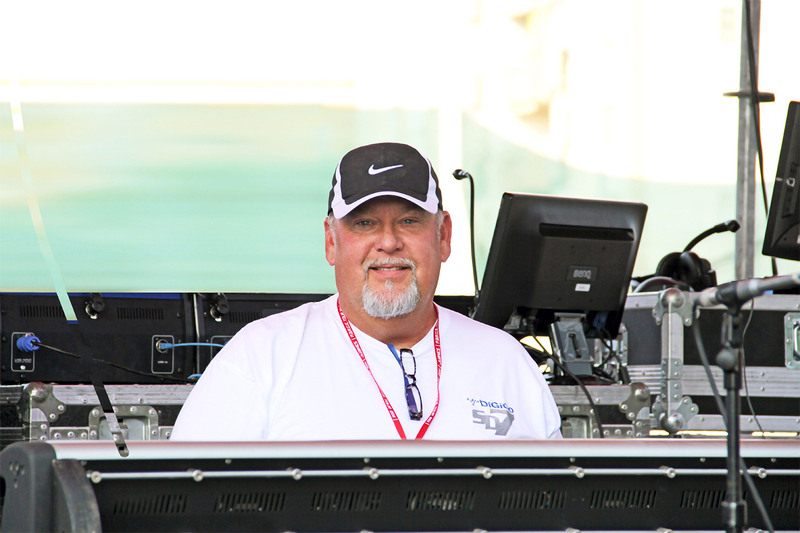 So when award-winning live-sound mixer Rob “Cubby” Colby needs to ensure he’s hearing everything and hearing it absolutely accurately at a show, he’s developed a technique in which he integrates studio-quality speakers into his monitoring protocol at the FOH position. And there’s only one brand of speaker that Colby will use for this unique but highly effective technique: monitors from Genelec. For instance, on the current Pat Benatar & Neil Giraldo tour, which will continue into the fall of 2012, Colby has been using a pair of Genelec 8250A Bi-Amplified DSP speakers at the FOH mix position, supplied by tour SR systems provider Sound Image. “This approach, using Genelecs as part of the monitoring solution for a live show, has made a huge difference in the quality of the live-sound mix for everyone,” he says. This is a technique that Colby, who has mixed live sound for artists including Prince, Juanes, Shakira, Phil Collins/Genesis and Janet Jackson, and who has won an EMMY® Award and numerous other plaudits for his work, has been using for several years. He recalls the first time he employed it, at the Viña del Mar International Song Festival in Chile, where the FOH position is located in a concrete blockhouse 170 feet away from the stage and with only a narrow aperture through which the FOH mixer can see and hear. To deal with this challenging monitoring environment, Colby brought in studio-quality monitor speakers – a pair of small Genelec 6000 Series speakers that he often carries on the road for mixing recordings of shows. “I time-aligned them and ran them through a solo bus on the console; as the show got louder and the ability to hear it got harder, I would bring them up slowly, to compensate what I was losing as a result of the position of the mixer,” he explains.